Hi everyone! 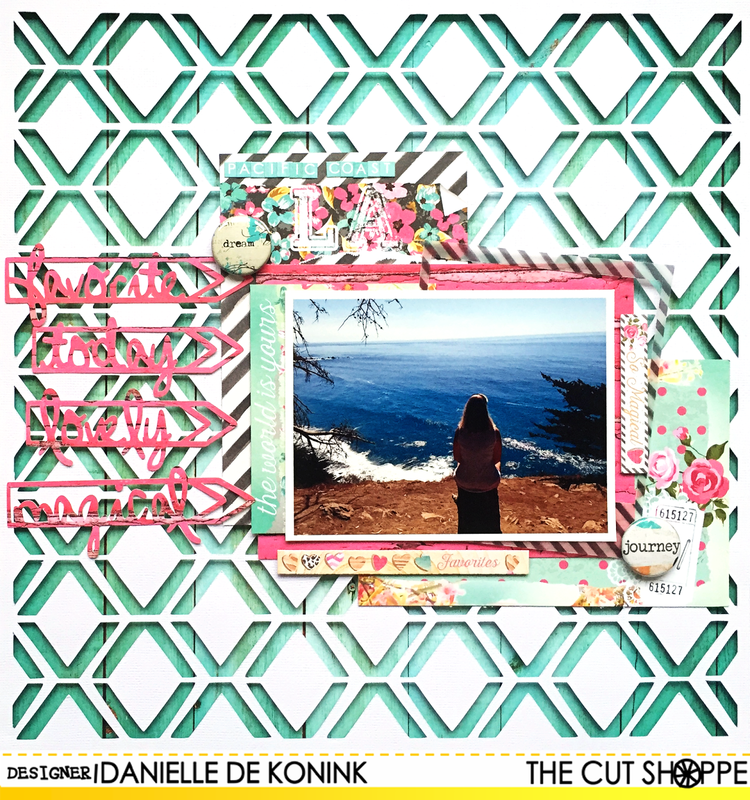 Today have a layout to share that I made for The Cut Shoppe. 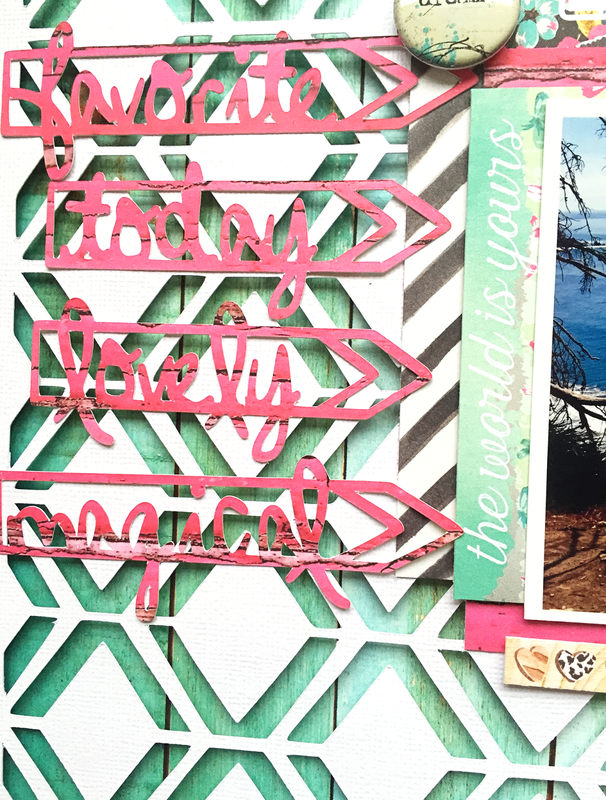 I used the X marks the spot cut file for the background of my page and I added some of the word arrows from the Write this Down cut file. 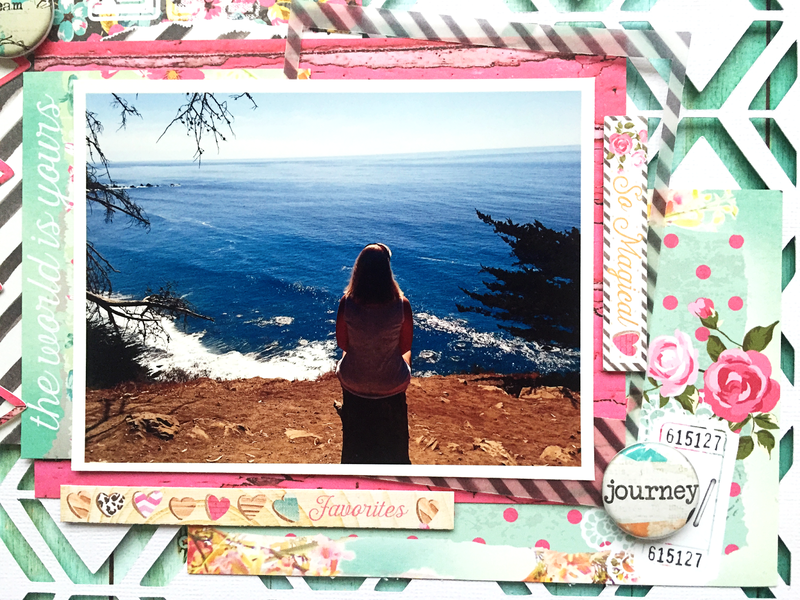 This picture is taken at the Pacific Coast during my California road trip and this spot was one of my very favorites. The view was so amazingly beautiful and it was so nice and quiet there. I used the Webster's Pages Beautiful Chic collection because of it's gorgeous bright colors and added two flair buttons from A Flair for Buttons. So cool! 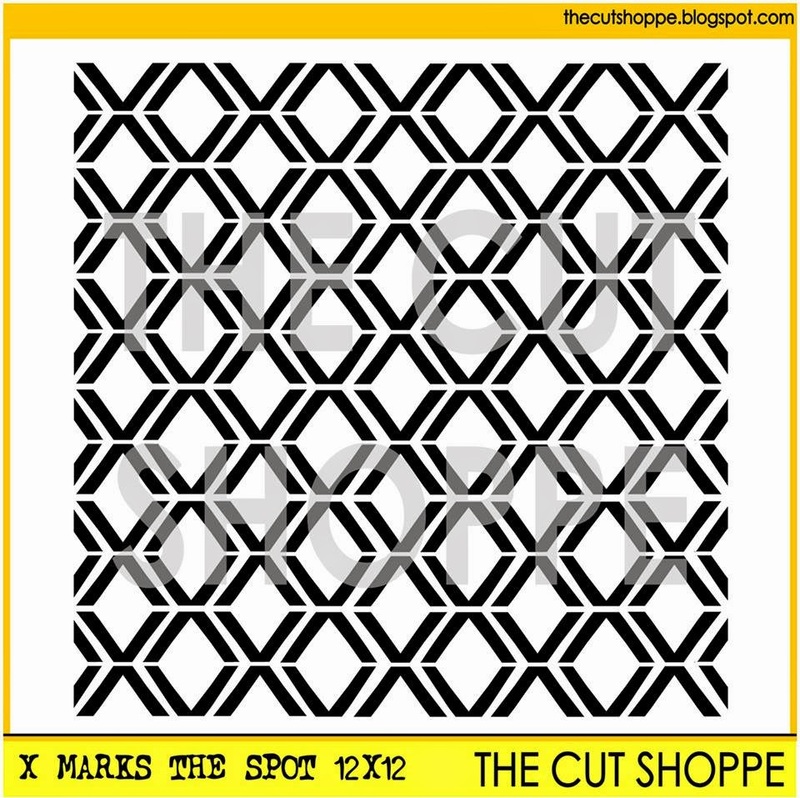 Realing like how you used the bacgroung cut file :). 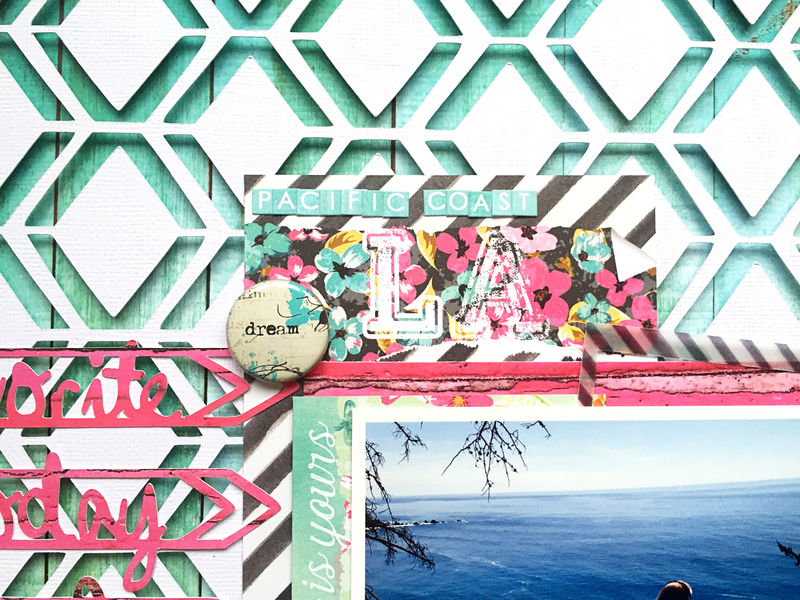 Everything about your layout is stunning Danielle!! 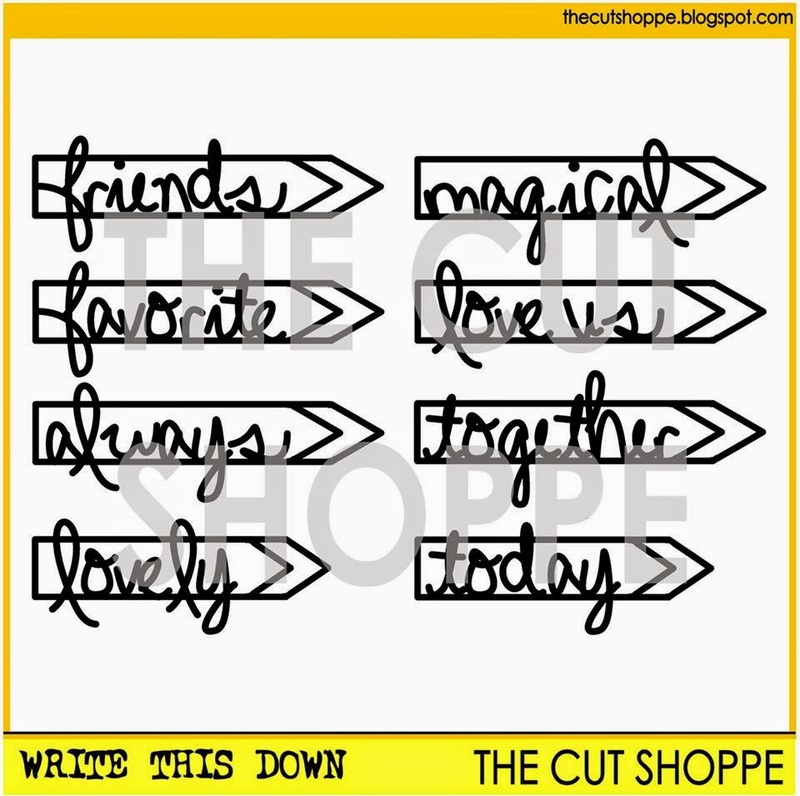 The Write This Down cut file really looks awesome layered over the background cut file! !